Cleaning concrete requires a good flow rate and a decent amount of pressure. 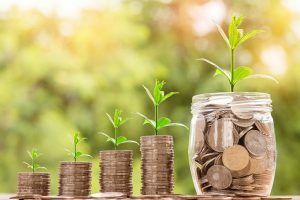 Almost all contractors agree that 3000 PSI is more than enough for almost all concrete cleaning while the gallons per minute recommended varies. 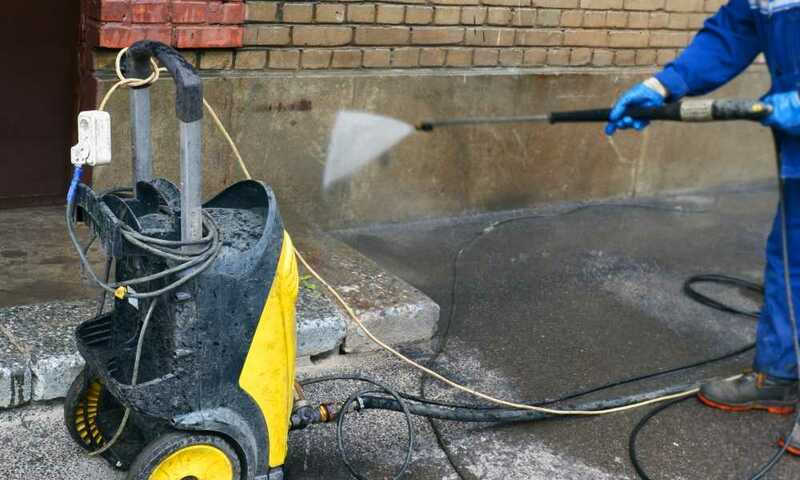 Here we’ll be taking you through a closer look at cleaning concrete with a pressure washer and seeing which flow rate and pressure combination is best for your purpose while looking at a few operating tips and precautions as well. Recommendations vary although 3000 PSI is ideal for most concrete cleaning, while 3 GPM is the minimum flow rate you should look for. 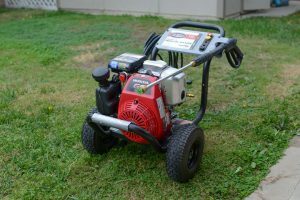 You’ll be able to clean almost any brick or concrete with this range of pressure washer. 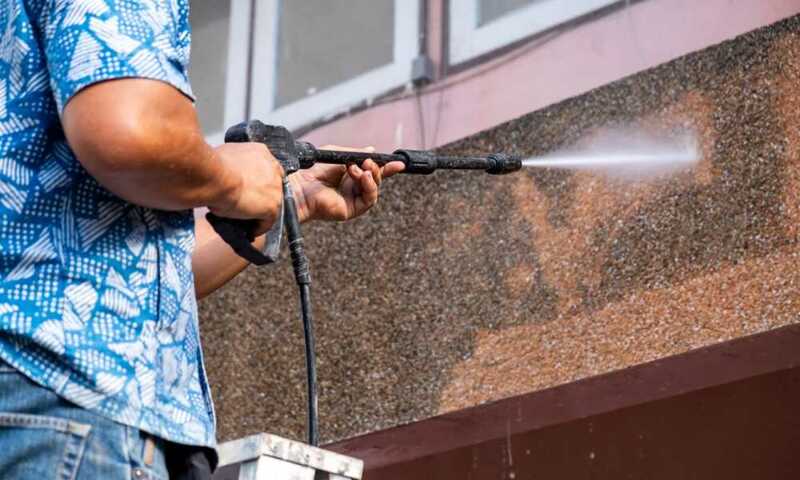 If you’re planning to clean the outside of a building and don’t want to damage the paint then rather start with a gentler pressure setting such as 1500 PSI at around 1.8 GPM. 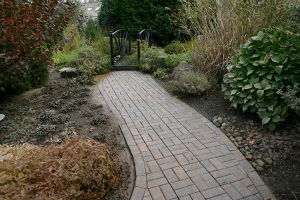 Hot water pressure washing is recommended for most brick and concrete surfaces. 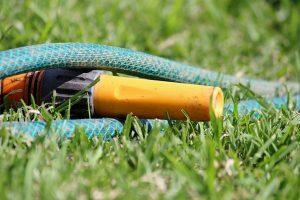 The 25-degree nozzle is typically the best for cleaning concrete driveways, patios, pool areas, and similar hard surfaces, although some users prefer all the way to a 40-inch nozzle instead. Play around until you find the most effective one for your use. Start at about 12-inches from the surface and spray using an even sweeping motion. Always keep your nozzle at an angle to reflect the force and prevent it from degrading the surface. Attempt to make all of the dirt and debris run off to a singular area and finish off your cleaning with a wide spray tip to clear away any loosened debris. Whenever you need to clean concrete its best to first apply a good quality degreaser. 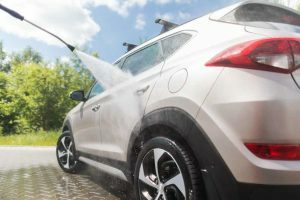 Either scrub the product into the concrete using a wire brush or use the attachment provided with your high-pressure washer. Many higher-powered pressure cleaners come with degreasing attachments specifically designed to clean tough surfaces. If you’re looking for a natural degreaser give vinegar a try. 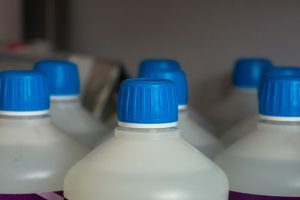 You can either use it as-is in the detergent tank or dilute it 50/50 with water first. Full-strength vinegar effectively clears away heavily soiled stains but it’s best to brush the concrete clean unless you have an attachment. If you’re working by hand and need a far gentler cleaning solution then make a mixture of ½ cup of baking soda to a gallon of water and scrub the concrete clean. We wouldn’t recommend that you put a solution containing baking soda in your tank though as it can easily damage your pressure washer’s pump. Studies show that a stream of water at 2500 PSI can rip up concrete, given the right conditions. If you hold a single stream at 2500 PSI of pressure at an inch above concrete it’ll tear up the surface. Start at a safe distance away and take care near aging brickwork and anything else which stands a chance of moving. Only use a light spray when working near asphalt or gravel. Work carelessly and you’ll need to relay any area once covered. Stenciled or imprinted concrete should generally be avoided. 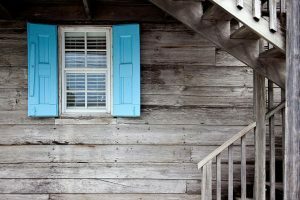 Pressure washing can damage the design in moments if you’re not extremely careful. 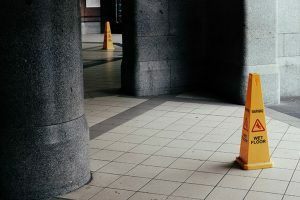 You should also avoid trying to remove any coating or sealers as you’ll likely blast a piece off the top layer of concrete before you get the compound off. Sealing your concrete is one of the best ways to protect it from damage and it makes pressure washing a breeze. You can get sealers which leave no trace of treatment and others which leave behind a protective high-gloss; there are solutions for every style. 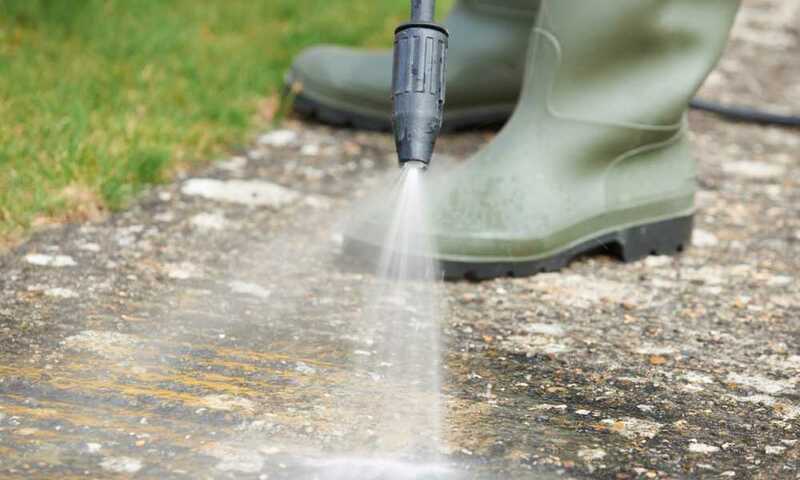 With the dirt and grease sticking to the sealer instead of the concrete you can wash away all traces in a hurry, leaving your driveway or patio clean. Take care to overlap your spray as you work so that you don’t leave streaks as you clean and always get rid of dirt and debris first to prevent damage. When working outside, either protect your plants or use a plant-safe detergent. 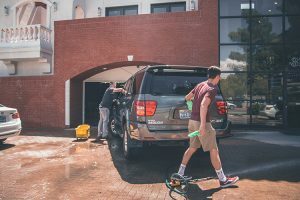 A pressure washer is a wonderful asset to any home helping you clean up any area in next to no time if properly prepared. 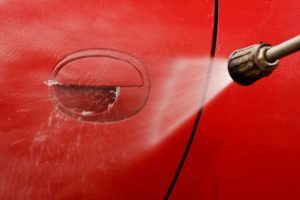 Can You Power Wash a Car Engine?